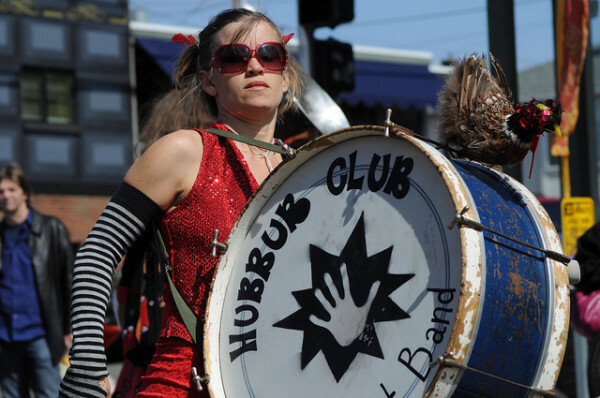 ← Hubbub Fun October 31 Occidental! Honk Voyage 2015 – Rocketing off to Honk! The Hubbub Club is going to HONK and we need your support! Please visit our site now on RocketHub to support our cause and get one of the beautiful gifts created by band members or donated by local businesses while supplies last. 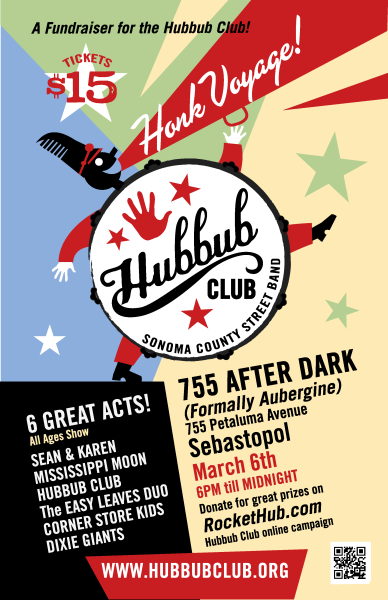 As a grand finale to our fundraiser, we’re having an all ages show at 755 After Dark (formerly “Aubergine”) in Sebastopol on Friday, March 6th, 6pm to midnight, with five other local bands who know how to rock the house! We invite all our family, friends, and fans to join us there. Tickets for the show are available at our Rocket Hub Fundraising Site!